Solar pool heaters are recommended by plenty of professionals over other types of pool heaters today. For one, they’re very durable and manufactured to last for more than one decade. Proof of this is how many carry decades long warranties, sometimes as long as 12-years or even more! They’re also built in a way so that they won’t require as much maintenance or servicing. This is slightly unheard of when it comes to pool heaters, as gas and electric heaters often require annual servicing. On top of that, solar heaters are good for the environment because they use one of the most powerful, renewable and reliable sources to generate and utilize energy – the sun. As such, if you own your own pool, you may want to consider paying for the premium and investing in a solar pool heater. Now, selection can be quite wide, which is why we’ll help you narrow it down to ultimately, just three choices. Of course, they’re the best, so don’t worry because your money will be well spent either way. 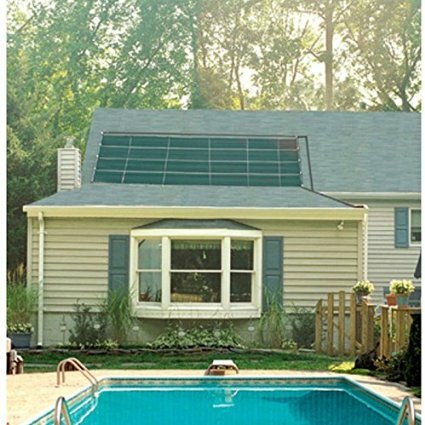 The Smartpool WWS601p is a heating unit with 80 square feet of solar panels that’s aimed to give you and your pool all the heating that it needs. 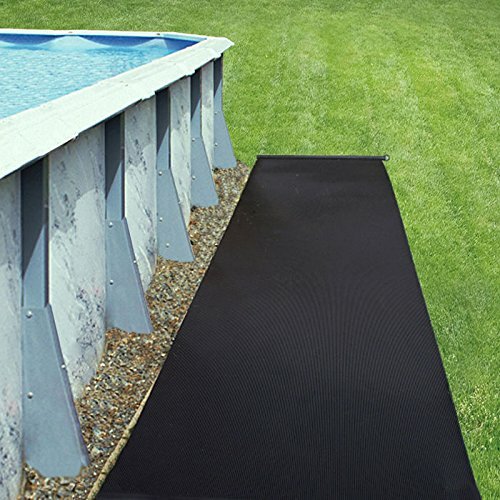 It also uses a polypropylene heat collector, which has been proven to last longer and withstand all sorts of weather, all the while providing quality pool temperatures all year round. The heating unit is recommended for use only in ground pools, but it is possible to use this pool heater on above ground pools, provided that it’s fitted with the correct piping. As far as drawbacks ago, the added price for the separately sold installation kit simply just can’t be ignored. The reason being is that it could be a deal breaker for quite a few. Another thing worth mentioning is how many customer reviews over at Amazon.com seem to agree that even with the installation kits, installation of the Smartpool WWS601P is far from easy. In fact, one could say that a working knowledge of plumbing is necessary when installing this pool heater, especially if without any professional help. The Smartpool WWS601P is generally one of the cheapest solar pool heaters on the market but does not perform like the cheapest. Described as the most cost effective and eco-friendly way to heat your swimming pool, the Smartpool S204 has its compact design going for it. Sure, it’s still a solar pool heater and it definitely works like one, but because of its design, it’s much smaller by nature. This means that this heating unit will take up much less space than other panel systems. Even better is that it installs directly into your current plumbing, so there’s no need to worry about buying stuff such as by-pass kits. It also has built-in legs, which will help you position the unit even better to get the most sun. One drawback that’s worth mentioning is that the compact nature does come at the cost of not having as much heat input. To some, it is acceptable, but others may not like how multiple units may be necessary to get the desired temperature as this heating unit is not that cheap. Because this system is easy to install on your own, it’s not exactly a hard sell. In particular, the Smartpool S204 should make for a great heating unit for space-savvy homes and pools. It’s also covered by a 5-year limited warranty and the fact that it is Made in USA is just icing on the cake. Fafco is another premier company in the solar business. Proof of this is how they’ve installed hundreds of thousands of solar systems over the years. These panels, in particular, have heated swimming pools since the early 70s. Included in the package is a 4-ft by 20-feet solar collector, as well as 2 6-feet long 1.5-inch diameter hoses including 4 clamps, an integral bypass valve and all the other necessary hardware. You can also mount it on the ground, or on a rack, or any other nearby roof, whichever you prefer. Be sure to use this to your advantage and look for the “sunniest” spot to get the most out of this heating unit. Also, this heating system works best for above-ground pools, but those with technical know-how should be able to make it worth with an in-ground one. But, it is not recommended as using the product out of the specified use may make it less effective, it may not even work all throughout. The Fafco Solar Bear Economy Heating System is a product that’s well worth it. 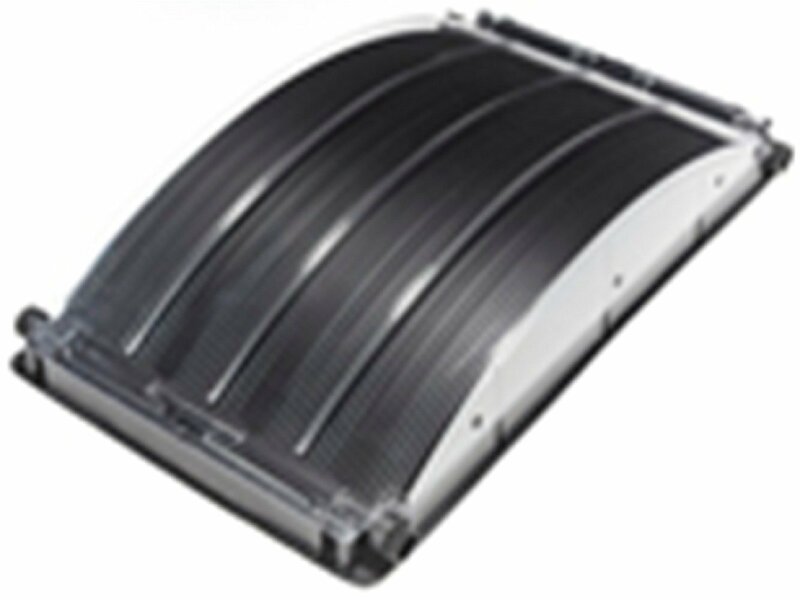 Of the three, the Smartpool WWS601P Sunheater Solar Pool Heater may just be the optimal choice. Yes, it’s a DIY-installer’s nightmare, but apart from that and the lack of an included installation kit, it could provide the most heating of all three mentioned. Be sure to do your research, though, and choose one according to your needs, budget and lastly, as to what others have to say about the particular heating unit.